ABOVE: The scene at The Shrine of Remembrance on ANZAC Day, 1940. This image appeared on page 6 of that afternoon’s editions of “The Telegraph” newspaper. 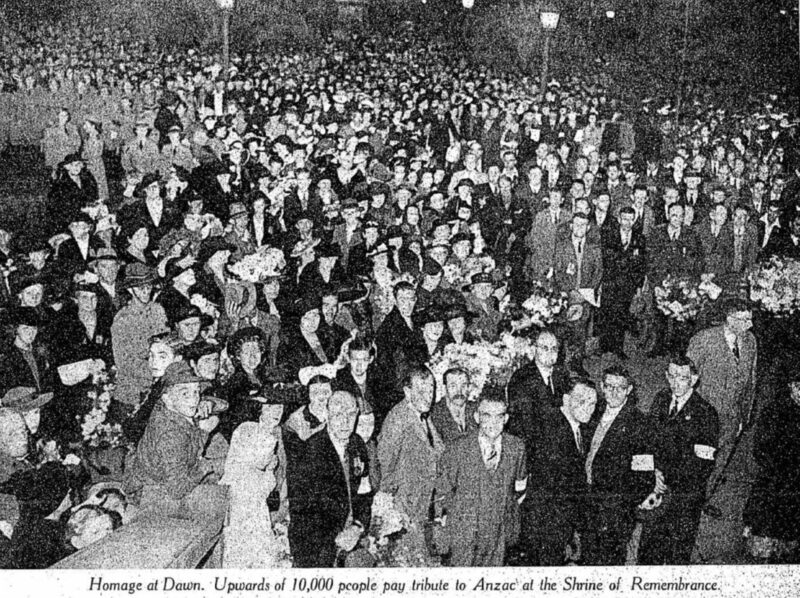 RECORD attendance figures will be set by ANZAC Day services in Brisbane on Thursday [ 25 April 1940 ] of next week. The Queensland Diggers’ Association expects an attendance of 20,000 at the Dawn Service in ANZAC Square. Last year’s 10,000 was a record for Brisbane the number having grown from 800 in five years. Better transport arrangements and the natural fillip present affairs will give to all services are the basis of the increased estimate. Sydney is preparing for an attendance of 45,000. Between 6,000 and 7,000, including 1,000 2nd A.I.F. men from Redbank, will march in the afternoon parade from King George Square to ANZAC Square, the Returned Soldiers’ League estimates. Several hundred more returned men than last year will march. 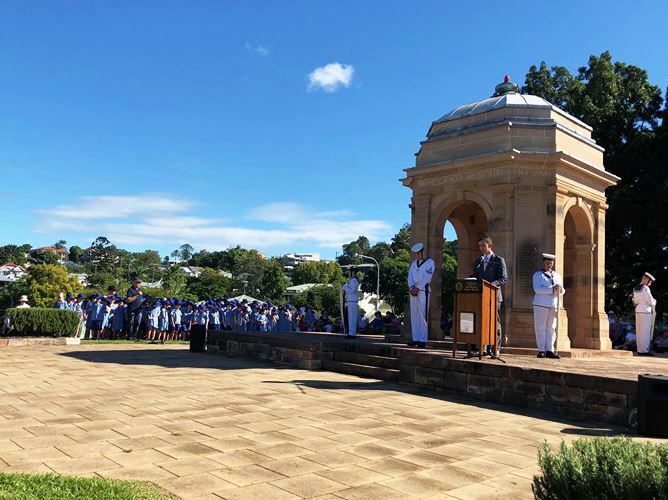 The ANZAC Day Commemoration Committee asks that, as the official programme is being compiled, all those who are arranging functions in the metropolitan area should forward details to the honorary secretary of the committee, Box 165, G.P.O., Brisbane. This ANZAC Day will hold a new meaning for all, for not since April, 1918, has it been held amid the crash and thunder of a terrible war. That is emphasised in the ANZAC Day Book which was issued yesterday by the ANZAC Day Committee. 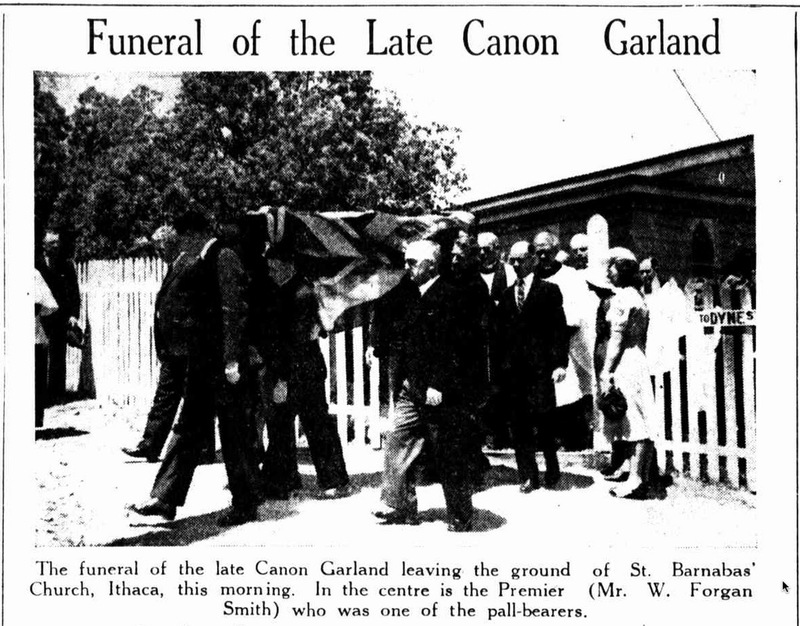 Pride of place in the booklet has been given to a tribute by the Premier (Mr. Forgan Smith) [ William Forgan Smith ] to the late Canon D.J. Garland [ David John Garland ], who was actively associated with the committee from its formation in January, 1916. 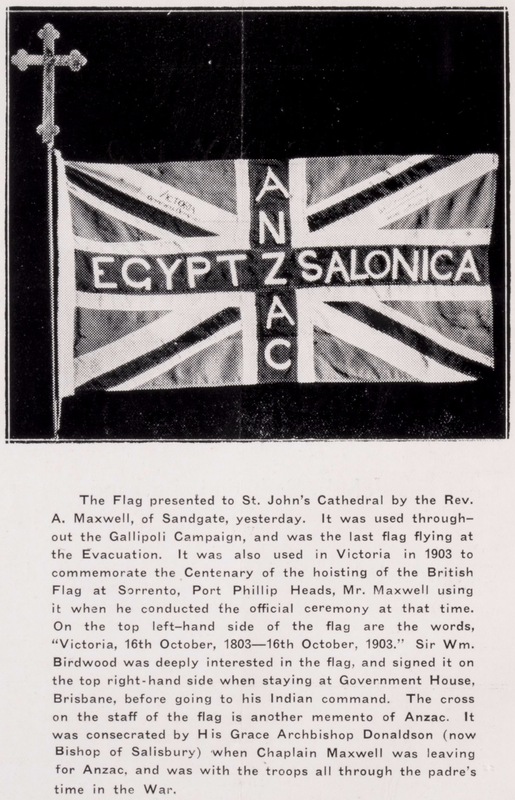 The book, which will be useful to speakers at the various celebrations, includes an article on ANZAC Day by the late Canon Garland; another entitled “We Face it Unafraid”, by Mr. J.C. Waters, author of the War Graves book, “Crosses of Sacrifice”; a sermon by the Rev. Norman Osborn was delivered at St. John’s Cathedral last ANZAC Day. – from page 20 of “The Courier-Mail” of 17 April 1940.